The GUI interface doesn't reflect the terminal window contents. I suppose it's a language problem in the edubuntu user. Other users are OK. 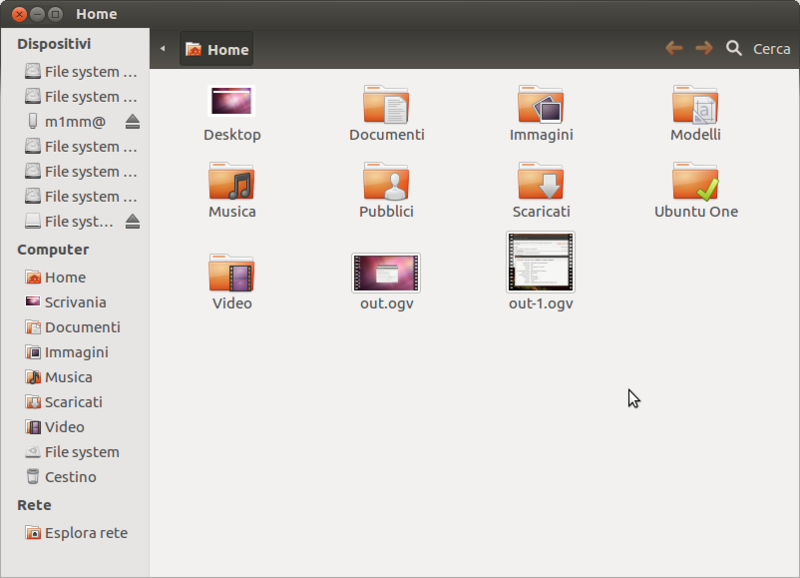 Yes probably is something related to localization, but I cannot understand how many Desktop dir Edubuntu has. If Desktop is translated to Scrivania why Desktop is listable ? log in again the Desktop/Scrivania contents are correctly displayed. > Yes probably is something related to localization, but I cannot understand how many Desktop dir Edubuntu has. > If Desktop is translated to Scrivania why Desktop is listable ? > The GUI interface doesn't reflect the terminal window contents. I suppose it's a language problem in the edubuntu user. Other users are OK.
> See the attached screen-shot. Do you mean that the problem affects only the live version? 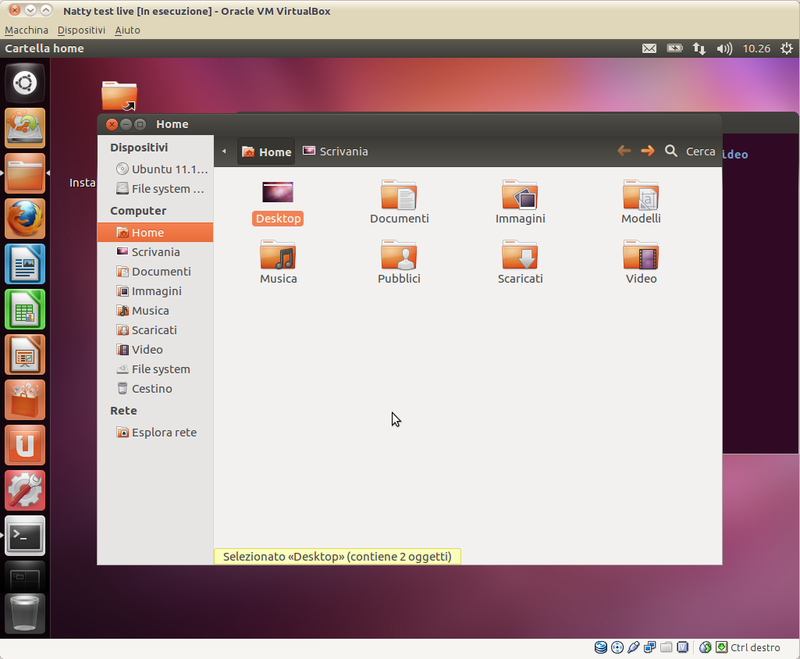 edubuntu - version 2012-03-05. Confirmed. 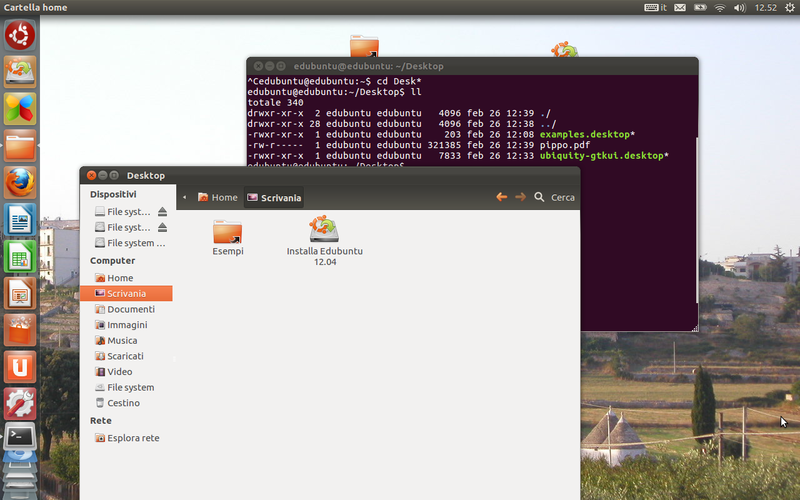 Confirmed in the today (2012-13-03) edubuntu build! It'really strange it seems to be fixed, but then it appears again. I think it's a localisation problem: see also 951397 and 952749. Something is wrong when translating directory names. This bug has been reported on the Ubuntu localized ISO testing tracker. Hello, I have tested precise-dvd-amd64.iso (20120324) (md5sum:- 91637aa5907d621a0a6f0b41a98b79d2), on live usb persistent. Hello, I have tested Edubuntu amd64 20121211 (md5sum:- 55c0d1196032c280c018f75c22dc5c5d *raring-dvd-amd64.iso), on live usb persistent.